This is a great baby shower game. Your baker places the charms and ribbons into the cake when it is being iced. All together or one at a time, each of the charm pullers choose one of the beautiful colored ribbons to reveal a charm with a fun meaning. 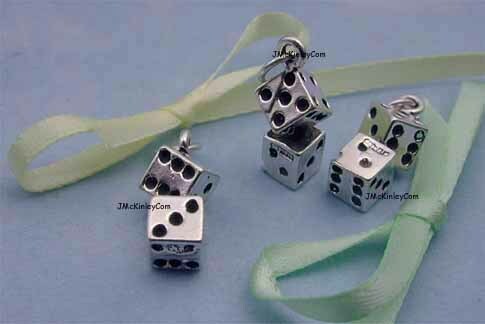 The meaning is for the person who chose the charm, or as their sentiment to the Mommy of honor. 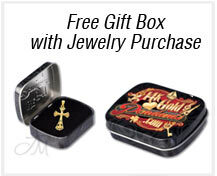 It is great fun, and your friends will have a piece of jewelry to remember the event. Also, you can ask your friends to donate their charm to the new mom, and she can have a charm bracelet she will cherish. 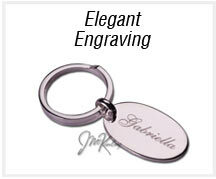 FREE CHARMS if you email us pics of your cake with our charms and we use them on the website! 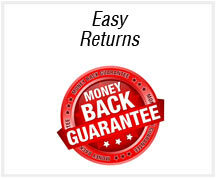 Up to $50 back. Get !! 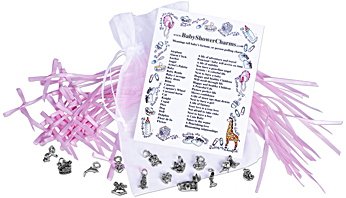 Order 6 or more charms and get a beautiful organza pouch, a meanings card, and the sterling silver charms. 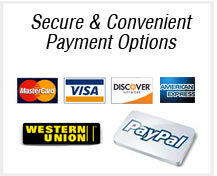 Ribbons are sold separately in a variety of colors. The charms, distinctive symbols of romance, are attached to satin ribbons in your choice of Pink, Blue, Green, Yellow, Peach, White or Iivory. Small Bows are tied at the opposite end. 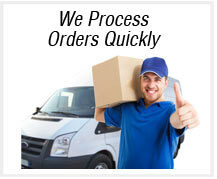 You can choose from the packaged sets listed, or choose individual charms from our large selection. 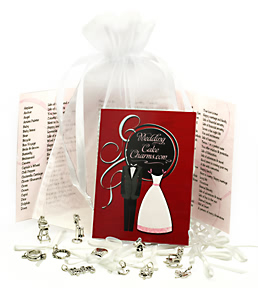 The ribbon pull charms come in a beautiful box with a card explaining the meanings of all the charms offered. A Victorian Tradition, to make your shower grand. In days of old, charms of luck and good fortune were placed into the cake. The custom of "Ribbon Pulling" dates back to the Victorian England when the bride hid small charms attached to ribbons within the layers of her wedding cake. 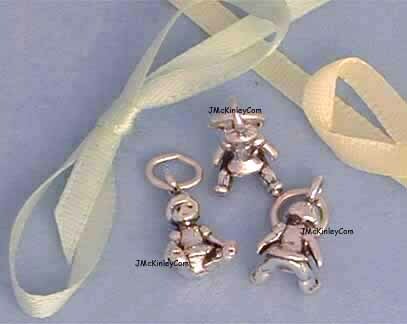 The tradition has made a "charming" comeback with our sterling silver wedding cake pull charms (www.WeddingCakeCharms.com) as well as our Baby Shower Charms. These tiny treasures are hidden (usually by your baker) under the bottom layer of the cake (between the spongy part of the cake and the cardboard platform) with only the satin ribbon and bows streaming delicately from underneath the cake, around the perimeter. 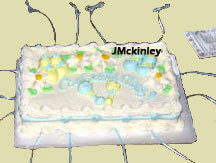 Each guest at the shower will gather around the cake prior to the cake cutting and pull a charm. 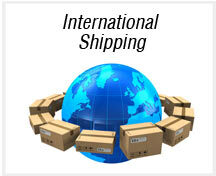 Each charm has a special meaning. They can read what that special meaning is so that the other guests will hear what is being wished for the new baby or for the charm-puller. No matter which is chosen, the future does look bright! This charming 'ribbon pulling' will surely add to the day's delight!! 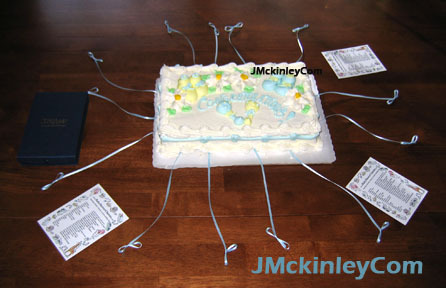 These cake pulls may be used at a baby shower or luncheon. Also, this charming tradition presents a wonderful photo opportunity. 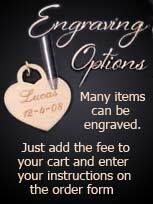 Some give the guests a silver bracelet on which to attach their charm, a memory keepsake. This is a great idea for a thank-you gift for the guests.